We are dedicated to providing the highest standard of Breast Care. 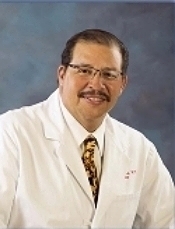 Dr. Levi S. Kirkland is a board certified surgeon with over 20 years experience in managing breast disease. Our Breast Care Specialist is prepared to evaluate,diagnose,and provide a wide range of treatment options for conditions affecting the breast. Our center specializes in the treatment of both benign and malignant diseases of the breast. Our mantra is "Private and Personalized Breast Care strengthened through faith." We utilize the most advanced and innovative procedures in order to guarantee the best treatment for each individual Our goal is to offer the highest quality healthcare that is convenient and delivered in a pleasant and comforting environment . To learn more about the services we provide, please call us today at 314-644-2422 to schedule an appointment.